Plus Size Special Occasion Kimono Coat Sari Silk Red Gold Bullion: Created from a sumptuous, vintage wedding sari from Dian Sharma's personal collection, and of the very finest quality. Embroidery of gold bullion threads. Fully lined, beautifully balanced and constructed to the highest couture standards and there's not another one in the world like it. Easy to alter down and also looks wonderful worn oversized. 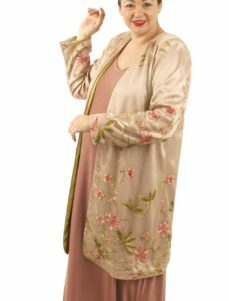 Garment Measurements for Calf Length Kimono Size 2X (34/36): Bust & Hips 72.5", Length 37.5", Upper Arm 28.5"
Contact us. Always a pleasure to hear from you. 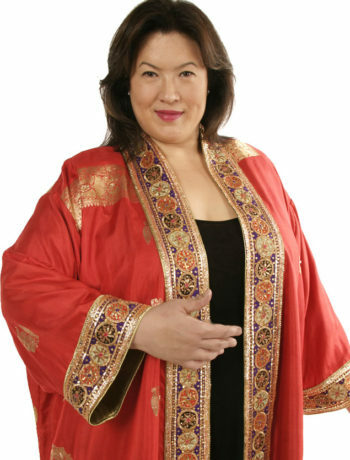 Be the first to review “Plus Size Special Occasion Kimono Coat Sari Silk Red Gold” Click here to cancel reply.